I wanted to share with everyone that I’m featured in an article in Everyday Health. It is titled How Vertigo Changed My Life. I am one of two women featured in the article. I’m thrilled that Dr. Sanjay Gupta, felt that the impact that vertigo can have on a person’s life needs to be brought to the attention of the public. The general population does not know much about vestibular disorders, you just don’t hear about us very much. There aren’t commercials for medications that will help us, or anything like that. Vestibular disorders are kind of confusing, even to a lot of doctors. I’m honored, and thankful that they asked me to be a part of this article. I hope you enjoy the article. It’s a short read. Please let me know what you think. 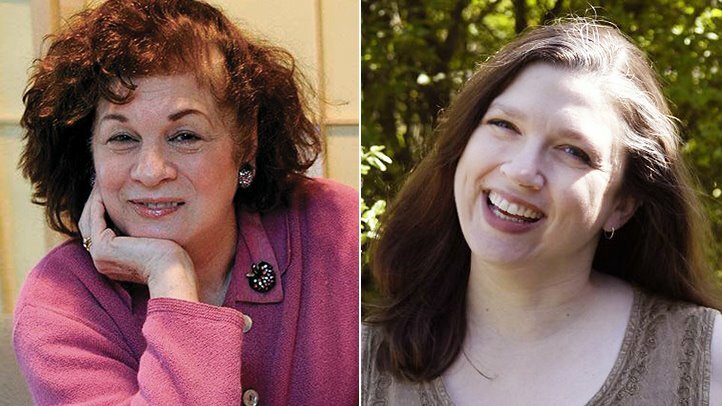 Two women talk about the debilitating effects of vestibular disorders. For Anne Kirchheimer (left) and Wendy Holcombe, vertigo has impacted their careers and personal lives. Thats so awesome! Im glad they picked you, i hope this goes along way to explain what we go through, you explain it so well, im gonna put this on my facebook page to inform others, hope your having a still night! Shared your fb post, then I discovered I’d missed this one! And yes, I am still working (sorta) on art and chronic illness collaboration for writing 101 — Friday? Tale Weaving, I didn’t cross post this on Facebook since I’d already mentioned it there. So you didn’t miss it. Any time on the photo thing, it’s your article. Do it to your satisfaction. Found one today you might like, it shows more the mental breakdown side of me. I think I left my comment about this article on MY blog, but I want to ring in here to say congrats on your bravery to be so “out” about your challenges. On a more vapid side, as I think I’ve already said, the photo of you is DARLING! Magelyn…thank you. The photo is a few years old, they didn’t ask me for one until the very last moment so they got what I had…and I didn’t have anything recent that was decent. Stuart took that photo to be in a publication when I won an award for a photography contest. It is one of my favorites, we just spent the afternoon playing around and he got a good shot of me laughing at him. I’m also glad you liked the article. I would like to feel like I could do more to be a better advocate, that made me feel like I was doing some good, ya know? You ARE doing more than “some” good – if everybody commented, it would be so clear even you couldn’t doubt it!